OCD from an outsider’s perspective can definitely be tricky to understand, even at the best of times. Heck, even my OCD baffles me at times and I live with it 24/7. Watching someone you love and care about go through something so distressing, that most of the time you probably can’t even see (e.g. intrusive thoughts and mental rituals) makes understanding and empathising a lot more difficult. The workings of OCD are very complex and specific to each individual, no one’s OCD is identical, which can cause a bit of a barrier between those who have OCD and those who don’t. There’s only so much we can really explain in a verbally articulate way without it getting too complicated and jumbled. Sometimes even we don’t understand what’s going on or what the drive is behind a specific obsession or compulsion, so trying to explain it just becomes impossible. However, the good thing is that you don’t have to be an expert in OCD or be able to fully understand the person’s OCD whom you are trying to help in order to support them from a family/friend perspective. Whilst it’s nice and definitely appreciated for you to maybe try and understand a smidge of their OCD, you would never be expected to know it in detail or understand it to the extent that they probably do. I feel like there’s only so much someone who doesn’t have OCD can understand without having actually gone through it themselves, which is totally okay and understandable. So here are some tips and info that might be useful to know if you want to support someone with OCD. 1) Acknowledge but don’t define. Acknowledge that they do struggle with OCD, but don’t define them or label them purely by it. OCD is only one small (even though I know to the person struggling with OCD, it can feel like the biggest thing in the world) part of them and definitely does not define them as a person in any way. It’s not who they are, it’s just something they have and there’s always someone behind the OCD. Try to help them realise how much of an awesome person they are. OCD is very sneaky and can often distort the perceptions of themselves, so it’s always nice to try and boost their self-esteem if you can and even just letting them know that you truly see them as an individual and not OCD. 2) The smallest things can mean the world. When you have a constant battle going on in your head, the smallest things can really make a difference even if they don’t seem like too much of a deal to you. A quick text asking how their day is going or a hug on a rough day can honestly mean the world to them. The very nature of OCD can leave strong feelings of isolation and hopelessness, so your small gestures of comfort and acknowledgement can help give OCD a well-deserved kick in the teeth. Even if you just offer to sit with them for a bit because, as mentioned before, you really don’t have to be an expert in OCD to be able to offer support. Sometimes even your silent presence can be of great comfort to those struggling. 3) They understand that you can’t ‘cure’ their OCD. All you probably want to do is to take away the suffering they are feeling and rid them of their OCD and that’s 100% understandable. Nobody likes to watch a loved one undergo such struggles, but know that you, unfortunately, can’t ‘cure’ them and they’re not expecting you to cure them either. It would be unhealthy for you to place that amount of pressure on yourself anyway as you, the family member/friend’s well being is important too. You can, of course, support them and maybe guide them to further treatment, whether that be offering to go with them to their GP or maybe supporting (not reassuring!) them with exposure tasks set by their therapist or by themselves, but really please don’t expect to cure them. As said earlier…OCD is horribly complex, but you can definitely aid them in their recovery. OCD is exhausting and sometimes giving into a compulsion is the only resort they have left. Please understand that they might just be tired or may just not have had the greatest of days. Recovery isn’t a straight line, it can honestly seem like the most wobbly line ever seen in existence, but that’s okay. Blips in recovery will happen and I know that it can be equally as frustrating for the family member/friend who is trying to help the person struggling when things don’t go to plan, but try not to get too frustrated and even if it does end in an argument, talk it out. I cannot stress this enough. It’s not a good feeling to have unresolved arguments left to simmer. The sooner you can sit down and talk to them about it, the better it will be and the stronger your relationship will grow. As a family member/friend supporting someone who has OCD, you will most likely have had first-hand experience of what it’s really like to struggle with OCD and so are able to realise that it’s not a ‘quirky‘ trait and that everyone’s not ‘a bit OCD‘. So please help share the word. There’s nothing worse than hearing your own condition being belittled every day, when you know so well that they way people chat about it is nothing like how it is if you actually have the disorder. So the next time you hear someone you know say something stigmatising about OCD, challenge them. Not in harsh, aggressive way, just in a conversational, educational way. The more people that challenge the stereotypes, the more we can break down stigma which will help lead to a better perception of OCD and mental health in general. Do it for the person you care about, but also do it to be the voice of family and friends as that’s not as often heard. You are just as important. Hopefully, this has helped a little and please feel free to share any tips that you may have learned through supporting a loved one with OCD. Im absolutely elated to see an article like this, or a blog like this for that matter, having a person experiencing the condition explain in depth, why, what and how you can do things to help another person is fantastic. As a person who’s just come out of a really bad few months of my serve depression, it excites me so much to see a blog of this sort, i know how much it would have helped me if people knew what i was going through everyday. Thank you for spending your time with this blog to help people in this way, its inspiring. Excellent post as usual, Ellen, with invaluable thoughts and information! Excellent post! I think the key words can boil down to education and understanding. And those who follow your inspiring blog, Ellen, learn to understand and get educated (by you) at the same time. Thanks to your sensitive & empathetic heart and your intelligent brain. It’s great to see people writing about this and to feel like I’m the only one battleing this. I’m 19 and have had OCD since I was about 13 so I know the horrible struggles of keeping it to yourself and trying to fight a war with an army of one. I’ve had the quotes of ‘just snap out of it’ and I too have heard ‘I’m a bit OCD’ and its frustrating how some people see it. It’s uplifting to see this blog and I hope more articles come along. If you click on Janet’s name in that comment it will take you to her “OCD talk blog” which you may find to be very useful. Janet recently wrote a book about how her son battled OCD with great success. I have a severe case of OCD And have been in treatment for the past 26 years as of this month. Finding good treatment for this very challenging disease makes all the difference! I am much much healthier than I was 26 years ago! Janets blog and book focuses on ERP therapy (“Exposure and Response Prevention”) which is widely considered to be one of the best treatments for OCD. I believe I can speak for Janet when I say that she and I feel very strongly that finding a therapist/psychologist who uses ERP therapy can be EXTREMELY helpful! Best of luck as you look for ways to support your grandson. He is lucky to have you! Thank you for writing this! You are so incredibly inspiring! It’s been sometime since I had introduced someone whose writings I like. 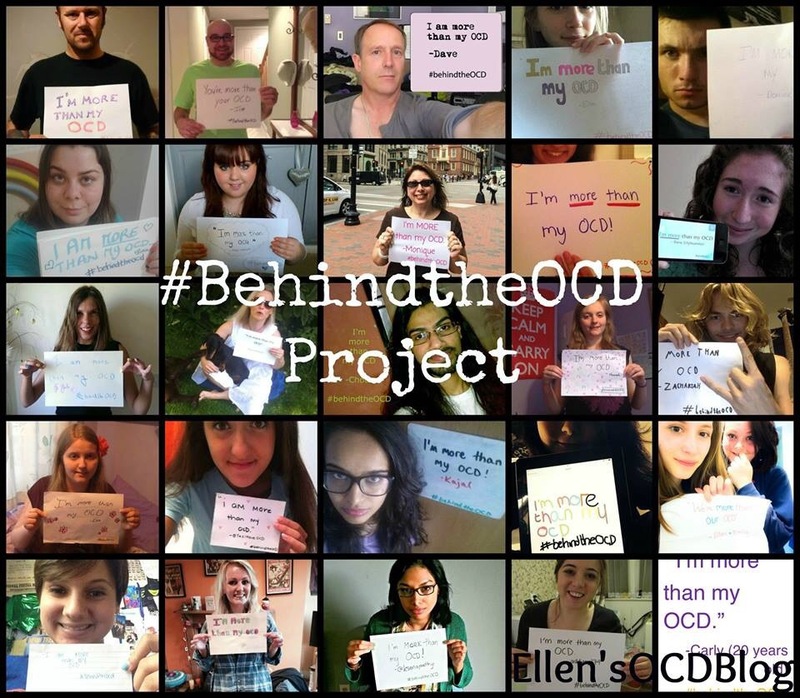 Please visit Ellen’s OCD Blog. I think it is amazing that someone her age would be so open about her condition, and seek to help others through their trying times. I only thought of that when i was 30. Damn. Well done, girl. Hey Ellen, as you might know by now, the autoreblog thing did not work. Did a manual reblog instead.